Classic mini 2-line fuse box, fitted to minis from 1959-76 but will also fit many other bmc cars. 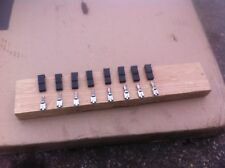 This is a collection of 8 crimp type connectors with hard covers. Thses arevirtually identical to the type used by Rover on their cars during the 1980/90s. These are usually corroded and a basis for electrical problems. IT CAN BE USED ON MANY DIFFERENT VEHICLES. MARSHALLS BANK. FIND US ON THE INTERWEBB. 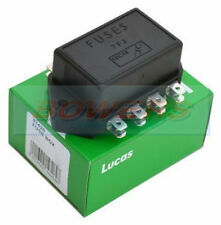 Lucas 4 Position Way Fuse Box 7FJ For Glass Fuses – Suitable For Various Applications. 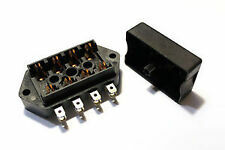 Lucas 4 Way Position Fuse Box 7FJ For Glass Fuses. Lucas Part No. : 37416. Lucas Rists 'E' Series. Lucas Rists TTS Range. 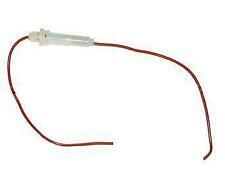 Part Number -RTC440A. This sale is for ONE fuse box. This mounts to the bulkhead. Also may fit other British classic car models. Classic Mini Fuse Box 4-line 1976-94. We are Minimine Ltd, from Stoke-on-Trent, we have been trading in Mini parts and accessories since the early 1990's. Genuine Lucas fuse box. Takes 4x glass fuses. 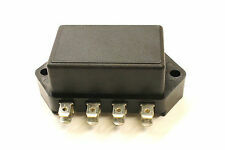 Part number for reference: RTC440A. Classic Car Part Yes. MPN VW65GTI1167. 4 X 25AMP. Saloon, Countryman &Van. Austin A30. 35 amp Glass Fuses. 2 door, 4 door. It should not be altered / tampered with/used. NOT included. 7FJ 4 way fuse box with strap as fitted to the MGB & Spridgets from around 1970 on. This type did not have a cover fitted & has room for two fuses plus two spare fuses (not included). IT CAN BE USED ON MANY DIFFERENT VEHICLES. MARSHALLS BANK. WE REQUIRE PHONE NUMBER FOR ALL ORDERS PLACED. We are THE MGB.HIVE, we spealise in MGB"s and Midget's. IT CAN BE USED ON MANY DIFFERENT VEHICLES. Austin Morris 1100 1300. ~holds two glass fuses~. Fuse Box and Cover. ~this fuse box includes the cover~. real blast from the past. NOT included. Rectangular base. Used from 1976 to 1994. Lucas Fuse Box 4FJ. 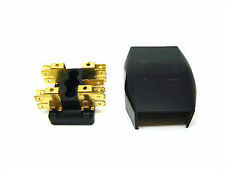 Suitable For: Cars fitted with 4FJ Fuse Box with Powerband. Lucas 4FJ Fuse box. 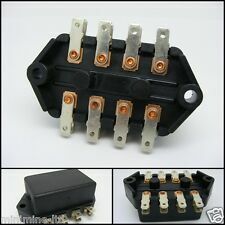 To replace Lucas 4FJ fuse box. Overall size: 70mm by 52mm, 35mm high. To replace Lucas part 54038068. Condition of box may vary due to age. 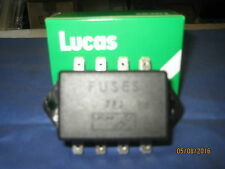 Lucas 76423 / 76423A ST19 STARTER SWITCH. Authorised UK Distributor of Lucas Electrical Parts. Morris Minor & Oxford. AUSTIN A50 A55. cross reference / replaces. Auto Electrical Spares. To Fit : Various classic vehicles. Genuine Lucas fuse box. 51mm x 60mm x 30mm. Manufacturer Part Number 76423. Morris Minor & Oxford. AUSTIN A50 A55. MG TD / TF. genuina lucas nuovo magazzino. Autorizzato distributore britannico di Lucas parti elettriche. Part Manufacturer Lucas. Classic Mini 2 line fuse box for 1959-1976 models that use the glass type fuses. This box mounts to the bulkhead. Part number for reference: PM09. THIS FUSE BOX WAS FITTED ON MANY DIFFERENT VEHICLES, IN THE 1960s & 1970s 505158A. MARSHALLS BANK. WE REQUIRE PHONE NUMBER FOR ALL ORDERS PLACED. FIND US ON THE INTERWEBB. Part number for reference : 518995A. Classic mini fuse box cover lid, this was fitted to all mini models made from 1976-96 with 4-fuse type fuse box (RTC440A). This is an original quality part manufactured by Lucas. Multiple choices exist for:AUSTIN MINI 1.0 Fuse Box. FOR AUSTIN MINI Cooper. Vehicle compatibility. Part number for reference: 505158a. This is the fuse box cover for Mini models made from 1959-76 models using the 2 fuse type fuse box. 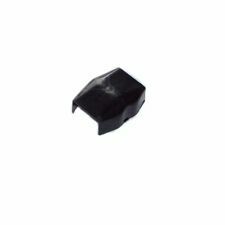 Manufacturer Part Number RTC440A. Classic Car Part Yes. Fuse/Fuse Box Type Mini Blade Fuse. Other Part Number FUSE BOX. Manufacturer Part Number Does Not Apply. EAN Does not apply. Unit Quantity 1. AUSTIN MORRIS MINI COOPER. AUSTIN MORRIS MINI COOPER S. AUSTIN MORRIS MINI 850. Glass Safety Fuses. MORRIS MINI-MINOR. AUSTIN "SEVEN" Mini. It should not be altered / tampered with/used. AUSTIN MORRIS MINI COOPER. AUSTIN MORRIS MINI COOPER S. AUSTIN MORRIS MINI 850. MORRIS MINI-MINOR. 35 amp Glass Fuses. AUSTIN "SEVEN" Mini. It should not be altered / tampered with/used. NOT included. 1962-1971 1.3 Petrol Hatchback 77 bhp. This is an original quality part manufactured by Lucas. FOR AUSTIN MINI Cooper. 1960-1969 800 Petrol Box Body / Estate 34 bhp. 1960-1969 800 Petrol Estate 34 bhp. This is an original quality part manufactured by Lucas. FOR AUSTIN MINI 850. FOR AUSTIN MINI 1275. This is an original quality part manufactured by Lucas. 1969-1976 1.0 Petrol Estate 38 bhp. 1967-1976 1.0 Petrol Hatchback 35 bhp. This is an original quality part manufactured by Lucas. FOR AUSTIN MINI 1000. 1962-1964 1.1 Petrol Hatchback 62 bhp. 1962-1969 1.0 Petrol Hatchback 59 bhp. 1962-1969 1.3 Petrol Hatchback 77 bhp. This is an original quality part manufactured by Lucas. FOR AUSTIN MINI.